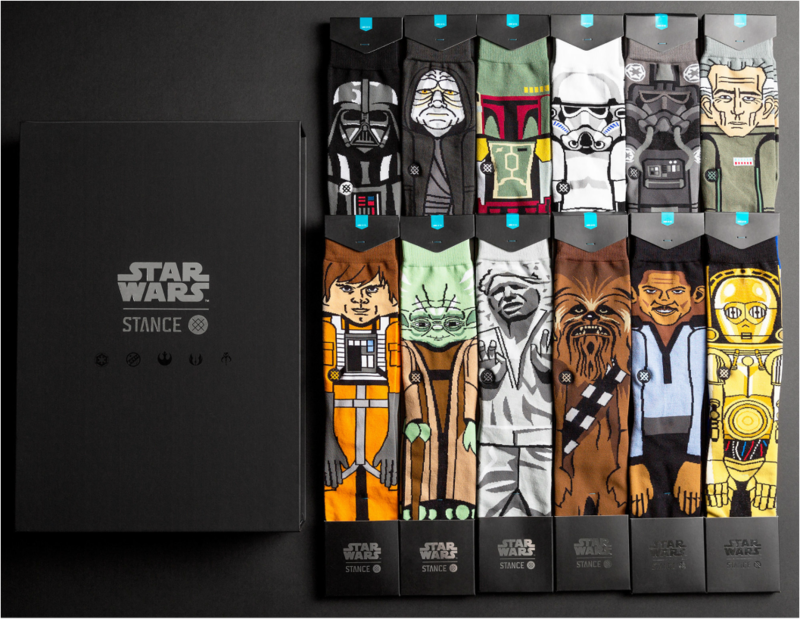 The Force 2 is the ultimate Star Wars Collectors Box Set that includes 12 socks and a mystery 13th pair. This limited edition Star Wars™ Stance set includes The Pilot, Tarkin, Emperor, Trooper, Droid, Vader, C3PO x Chewie, Bounty, Yoda, Lando, X-Wing Pilot, Carbonite, and ? Each sock is made from 200 needle count luxury cotton and features deep heel pockets, seamless toe closures, and athletic ribbing at the cuff to keep your socks in place all day. Be that guy who has the best sock collection.